Close up of two Lovers Joining Hands. SLOW MOTION 240 fps. 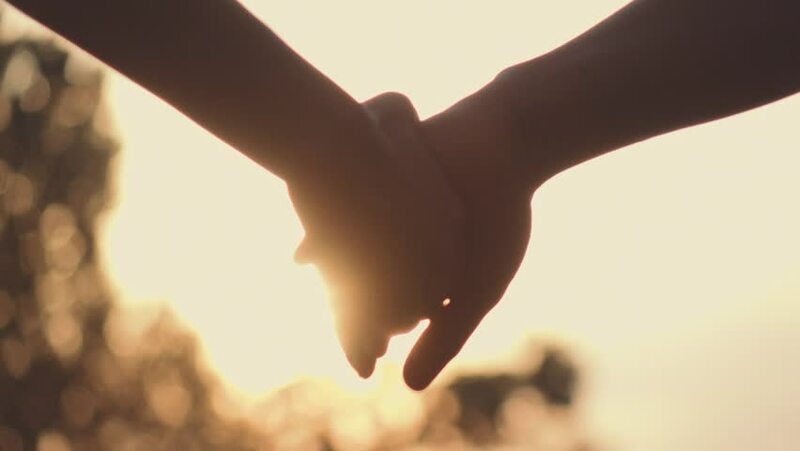 Detail Silhouette of Man and Woman holding hands over the Sunset Lake Background. Couple Trust, Love and Happiness concept.